The final price will base on our local distribution. With the current natural and clean label trend, consumers are more aware of ingredients. They are checking food labels carefully before they buy. Antimix™ CC is a powerful, clean-label inhibitor against Total Plate Count (TPC) formulated by cultured dextrose and citrus fruit extract, which provides a new alternative to potassium sorbate in culinary products. Antimix™ CC is a natural antimicrobial blend formulated by cultured dextrose and citrus fruit extract, effectively against Total Plate Count (TPC) in culinary products. The recommend dosage is range of 0.5-2 g/kg. Direction to add into foods depending on exact application. The applied method and extract dosage of Antimix™ CC depends on the application for which it is intended. Please contact us for specific information. *The exact percentage variations may occur from batch to batch. *Appearance variations may occur from batch to batch. 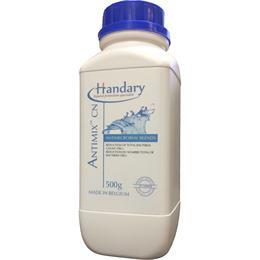 Antimix™ CC is available in 1 L/bottle. Packaging is available in other quantities. Plastic bottle and pouch materials comply with Regulation (EU) No 10/2011. 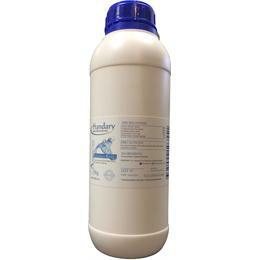 Store unopened below 20°C in dry conditions, away from direct sunlight and odorous products. When opened, store at approx. 20°C in original container. The product is certified by KOSHER, HALAL and ISO22000:2005. According to regulations Ec No. 1829/2003 and 1830/2003. Microorganisms used for the production of this product are not genetically modified. 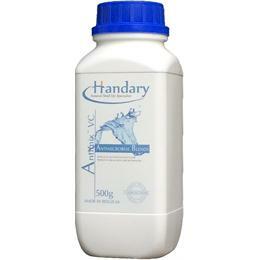 Antimix™ CC is labelled as citrus extract and cultured dextrose, approved as GRAS by FDA, USA. Among of which Citrus extract is approved as GRAS (GRN000457) by US FDA (GRN000457) for use as an antimicrobial and preservative in all in the majority of foods. While Cultured dextrose, approved as GRAS (GRN No. 128) for use as an antimicrobial agent in cheeses, sauces, salad dressings, sausages, soups, deli salads, salsas, pasta, tortillas, muffins, cereal bars, sour cream, yogurt, and hash brown potatoes at a maximum level of 2 percent (w/w) in the finished product. The regulations governing the use of Antimix™ CC vary considerably in the countries in which it is currently approved. Advice regarding the legal status of this product is available on request.